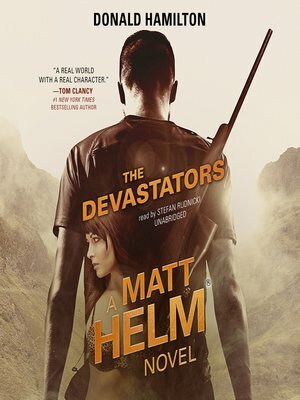 The Devastators is the ninth installment in Donald Hamilton's iconic and thrilling Matt Helm series, which has sold more than twenty million copies worldwide.On a bleak and lonely heath in northern Scotland, the body of an agent sent to complete a tricky mission is recovered. He had died of bubonic plague. It's up to Matt Helm to take it from there. Somewhere among the desolate Scottish moors is a half-crazed scientific genius who could devastate entire populations with one hideous, raging plague. It is Helm's job to get him ... with the help of a beautiful American operative who is supposed to be his wife, and a beautiful Russian operative who makes it clear she is his deadly enemy.